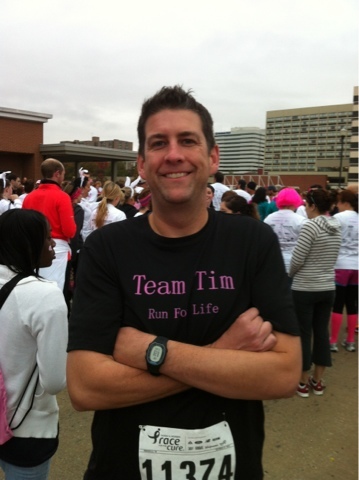 Instead of a half marathon update, this week I thought I'd share my Race for the Cure experience with you. 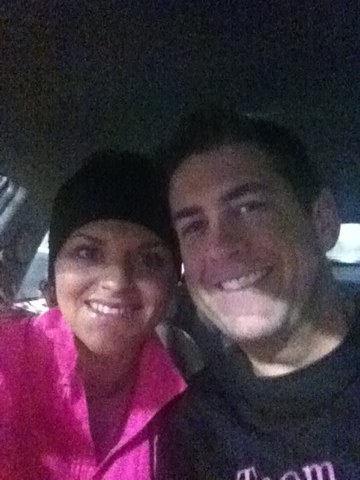 Kris and I did this 5k last Saturday morning. Kris does it every year, and this year I decided to join him. We had to get up at 6am, which is an hour earlier than I get up for work. The race didn't start until 8:30am, but we had to fight traffic and pick up our race bibs. 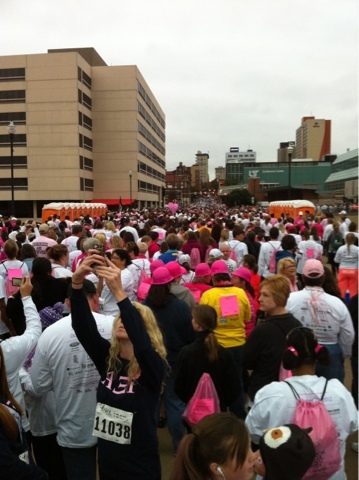 Race for the Cure in Knoxville has a huge turnout every year. This year was no exception. There were people everywhere! It took us 8 minutes to get to the start line! I wish they would've done a wave start, but oh well. I also noticed there were tons of walkers and not so many runners. It was very difficult to get past all the walkers during the race. Many times, I had to stop running because I couldn't make my way through the crowd. It was a little frustrating that walkers weren't more aware of runners. I tried to keep in mind it was for a good cause, but common courtesy goes a long way in my opinion. Kris is much faster than I am, so he went ahead of me, but he said he encountered the same. Did I mention it was cold? It was freezing! When I reached mile 2, it started raining. 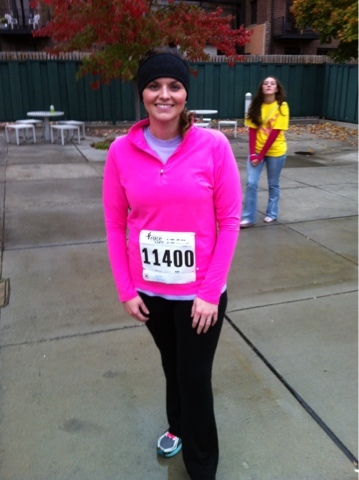 50 degree weather, rain, and running don't really make for a comfortable experience. 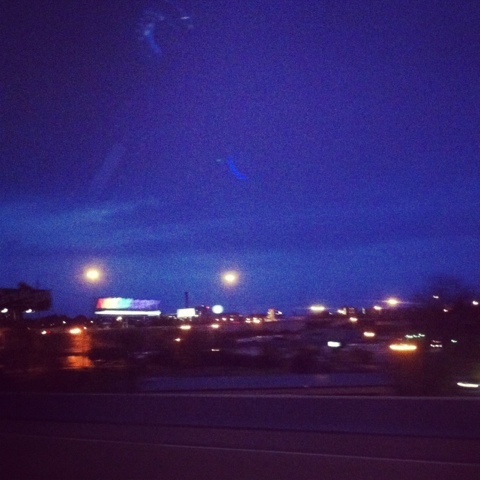 By the time I reached the finish line it had stopped raining, so I guess it wasn't too terrible after all. I finished the race in just over 36 minutes. So, I'm running about a 12 minute mile. Not too bad considering my training program only has me running 15 seconds out of every minute. I think I would've been faster if there hadn't been so many people. But, who knows? Good thing there's still 6 months until my half marathon. 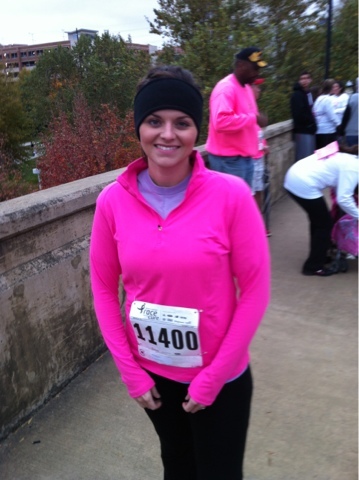 Here are a couple of pics from Race for the Cure. What did you do this weekend?